A cyber security awareness platform that enables you to easily manage and distribute training content, evaluate knowledge retention, while tracking and reporting participation and progress on learning outcomes. Enable efficient deployment and tracking of your training campaigns. This management platform enables you to enroll, manage and monitor your participants. 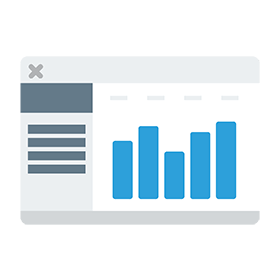 The management platform provides a useful complement to your training program and allows you to better track and appropriately measure results. 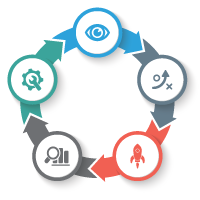 The powerful course assembly capabilities in our platform provide the ability to create modular, highly-targeted training campaigns, a critical factor in changing behavior over time. Send notifications to users who did not complete or did not pass their training, and target follow-up by status, country, department, etc. 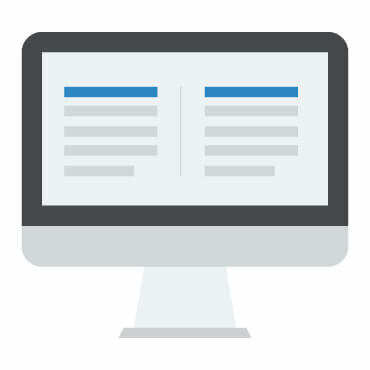 Assemble your own course from our large library of security awareness, privacy and compliance topics or your own custom content. Creating a new course is a simple select, drag and drop experience. Attribute or filter-based assignment of access makes it possible to assign different learning paths to different audiences. Course or quiz access can be assigned to everyone, a list of users, or dynamically based on a filter. Comprehensive and dynamic multilingual user interface, and content, email messages. 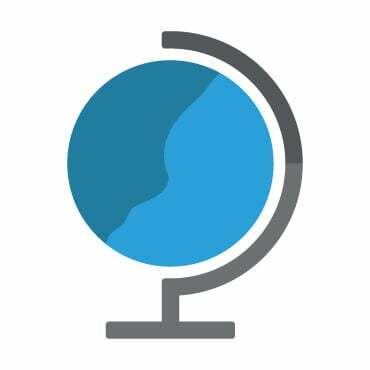 A unique solution that provides end-to-end multilingual experiences. Flexible automated email messages with predefined, customizable templates for key campaign activities such as course and quiz access, reminders and completion. Email messages can be dynamically sent to different user populations based on predefined rules. Predefined dashboards and reports enable tracking progress on course and quiz status, progress and results. 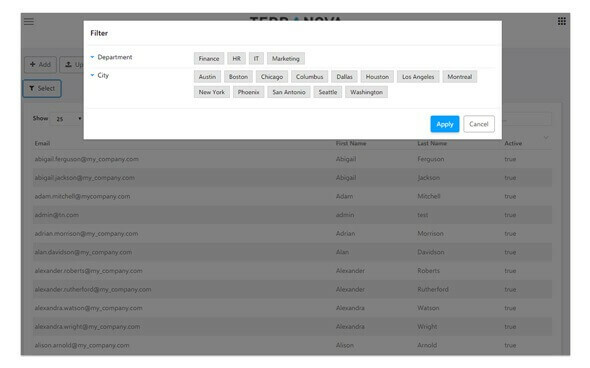 Dashboards enable dynamic views by filters such as department, location, and more. Evaluate employee knowledge and progress with a pre-assessment or post-assessment quiz. Leverage a large out-of-the-box bank of questions from a variety of security awareness topics. Customize the questions, or create your own. Add users to the platform and define environment filters that enable dynamic filter-based content assignment and reporting, without the resource-intensive process of assigning users to groups. 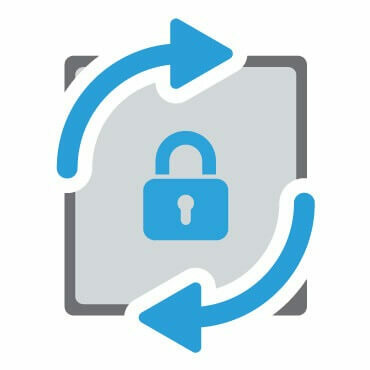 Single sign-on enables seamless access to the platform end-user interface. Configure the platform interface with the logo, background and color themes that reflect your company brand. The support provided by Terranova experts was invaluable. The platform is logical, intuitive and very easy to set up. The training is through and really fulfills on its promise to raise awareness to curtail breaches. Excellent product. 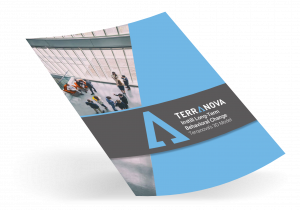 Terranova provided solid information security awareness and risk management services across our entire multi-office organization. Highly recommended. Terranova has been an excellent vendor to work with. They have consistently helped drive our program to keep us on our deadlines while also working with us to ensure we provide the best content to our end users. Customer focused, Requirements adaption on platform, ease of use, availability of support, knowledge of specific training in the Cyber Area. The LMS solution works well. Employees have no problems accessing the LMS site which is simple to navigate. 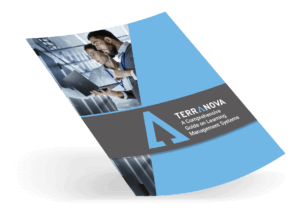 We are using Terranova for Security Essentials and HIPPA compliance training, and employee adoption has been better than expected. Rolled-out in a financial institution. The product is of high quality, engaging and interactive, all of which helped us achieve an above 90% participation rate. Covered both out compliance needs, and our behavioral change objectives. We received positive feedback from employees. Learn how LMS helps businesses organize and manage online training strategies to strengthen team engagement.